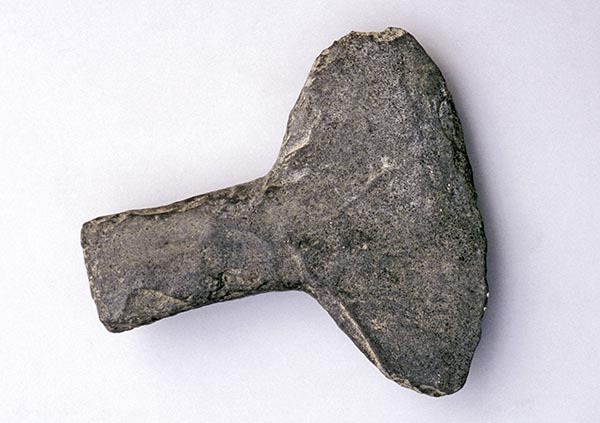 Caption: Stone Plough, Neolithic Liangzhu Culture, 2500 B.C.E., Zhejiang, China. The Liangzhu culture, dated to 3310 - 2250 B.C., is a late Neolithic culture located in Southeast China. Well known for its high quality and number of jade artifacts, it succeeded the Majiabang culture and later became part of the Shang Dynasty.